Again am back with yet another healthy weight loss drink. 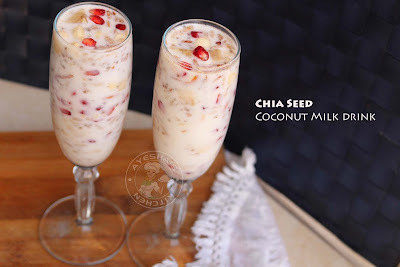 Yes, a chia seed coconut milk drink which tastes really yummy. A perfect drink to sip when you feel thirsty and hungry.That means the best meal replacement weight loss drink. Moreover, i suggest this quick drink as a perfect brunch drink. And this drink is a dilly of a weight loss drink recipe. 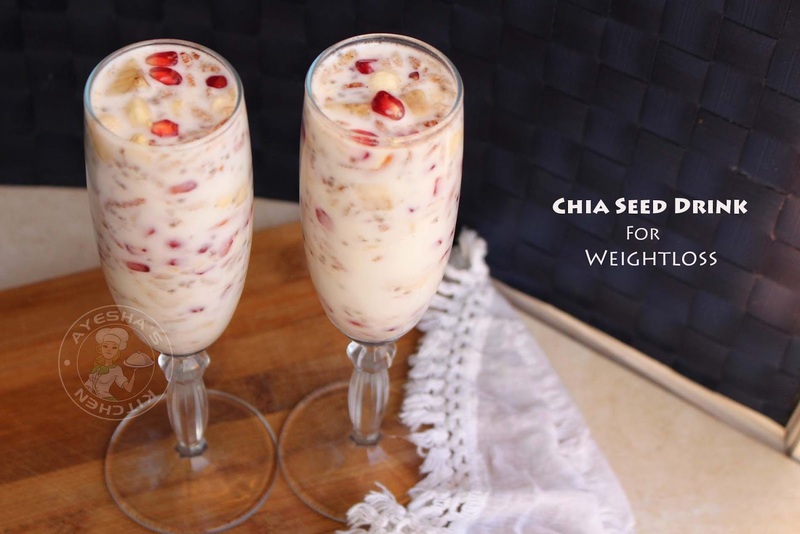 For those who are not able to participate in any weight loss programs for woman but need to shed weight must try this chia drink. Why can't we try such simple drinks for months instead of a weight loss surgery? 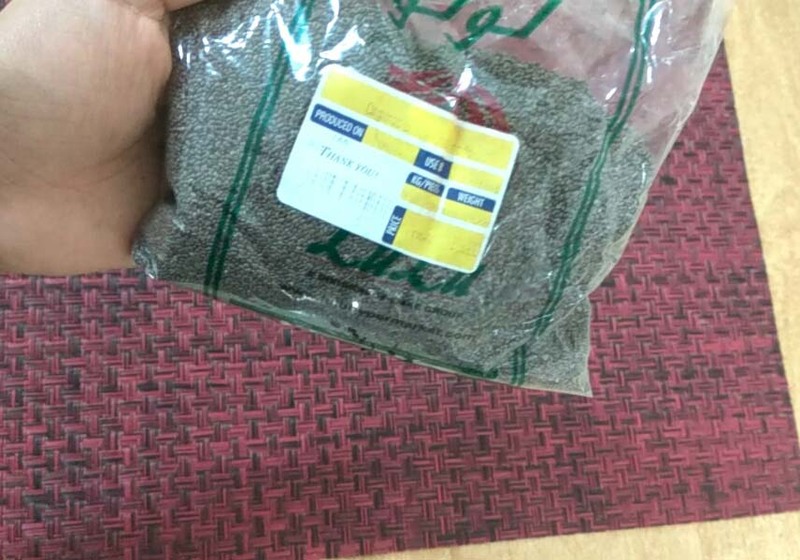 Chia seeds, which really helps you to lose weight easily. Nowadays, chia seeds have become one of the popular superfoods for weight loss.The benefits of chia seeds include healthy skin, reduce weight, reduce the signs of aging, beneficial to the heart and digestive systems, builds stronger bones and muscles etc. 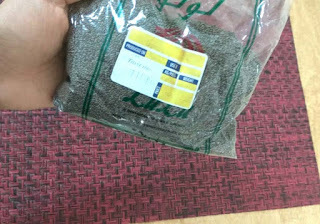 This seed is rich in fiber, omega 3 fatty acids, protein, vitamins, and minerals. The versatility of this seed makes it more special. 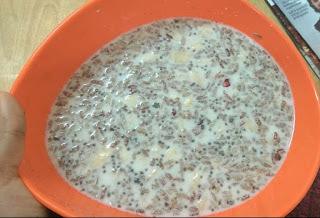 Chia seeds have a mild, nutty taste and so it can be added to most of the recipes. You can even add this seed just to garnish your dessert or drinks. Just soak these seed in water and then add it your favorite drinks. 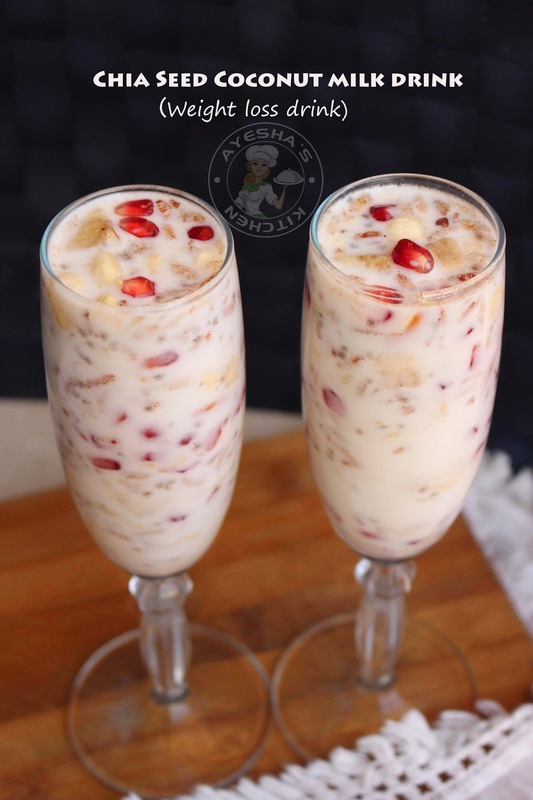 The pomegranate seeds enhance the taste of this drink. Pomegranate fruit has strong antioxidants and anti-inflammatory properties which is due to the presence of tannins, anthocyanin and high levels of polyphenols and flavonoids that plays a major role in imparting weight loss property. Like so, coconut milk, almonds also helps with weight loss. 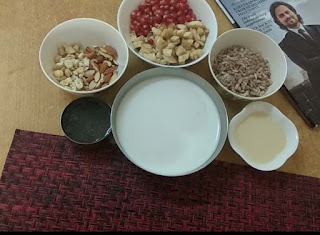 So let us see how to make yummy weight loss drinks/weight loss shakes/fat burning drinks/slimming drinks/healthy drinks for weight loss/good weight loss drinks/fat reducing drink/chia energy drink/chia pudding coconut milk/drinks made with coconut milk/coconut milk desserts. 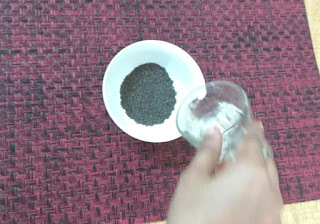 Soak the chia seeds in a quarter cup of water for 3 to 5 minutes or until you set aside the other ingredients. Take a large bowl. Add the thick coconut milk. To this add the sweetened condensed milk or honey (you can add more or less ). 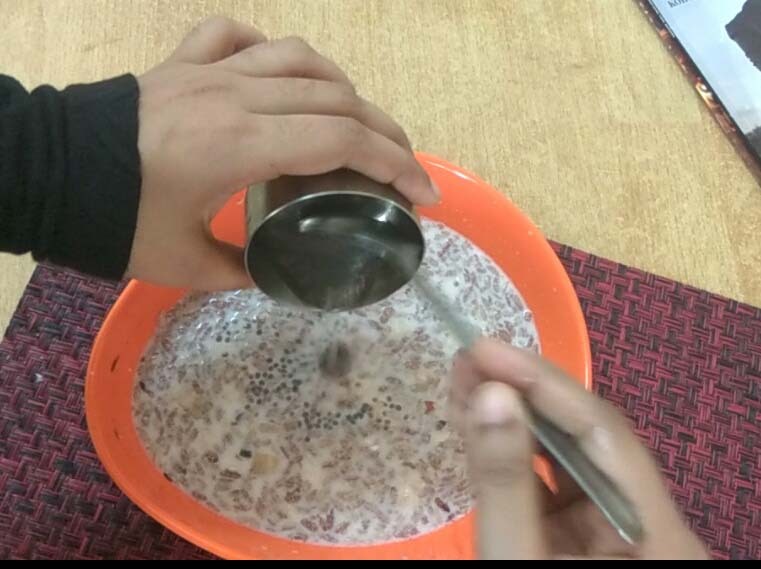 For those who are more health-conscious, they can add dates puree or jaggery syrup or honey instead. I used condensed milk only for that whitish texture. Then add the puffed rice flakes, chopped banana, and pomegranate seeds, sliced almonds, chopped cashews and then finally the soaked chia seeds. Mix well. You can add more chia seeds to this drink. Serve chilled. It tastes yummy.